BRYAN EATON/Staff photo. 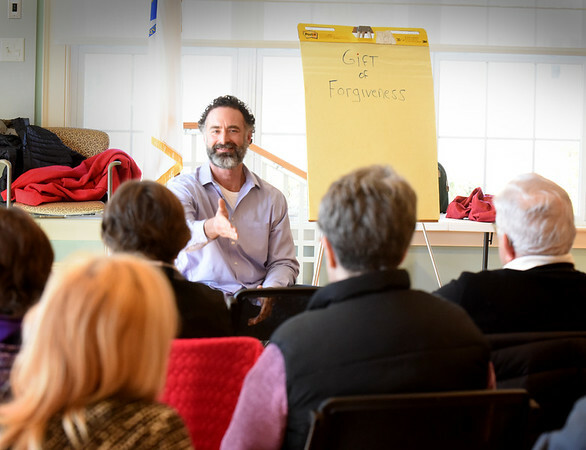 The Newburyport Senior Center hosted a Forgiveness Workshop hosted by Lou Lessard to learn and share the process of forgiveness. Lessard is a forgiveness coach and international speaker on the subject and host of "The Power of Forgiveness" radio show. The presentation is part of the Community Days series which is featured every Wednesday at 1:00 p.m.